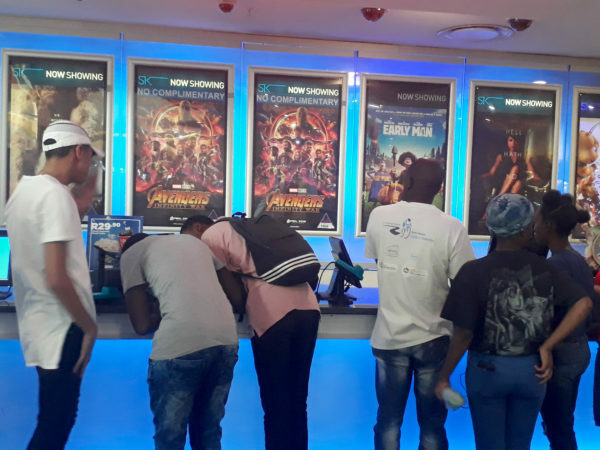 Avengers Infinity War has left audiences aghast since it was released in theatres on April 27. The storyline breaks the familiar formula of many superhero movies and leaves the viewer with endless questions of what this means for the future of the Marvel franchise. The movie is the culmination of all the previous movies within the Marvel Cinematic Universe (MCU). It is the third of the Avengers movies and flows particularly from Captain America Civil War, Thor Ragnarok, and to a lesser extent, Black Panther. Essentially the movie can’t be viewed and understood without knowledge of the previous Marvel films. As what was to be expected, Infinity War brings together most of the Marvel superhero cast – 27 characters to be specific – to fight the super villain Thanos (Josh Brolin) who has set out on a mission to collect all six infinity stones which have been referred to in previous movies. Together, these stones bestow on the bearer infinite power. For Thanos this means the ability to wipe out half of the universe’s population with the snap of his fingers in order to bring about what he views to be a “balanced world”. To him, this is essential to sustain life in an environment which is becoming increasingly limited in resources. Captain America Civil War movie ended with the Avengers going their separate ways, while Infinity War sees many of them come together again to fight a common enemy – Thanos. Although Iron Man (Robert Downey Jr.) and Captain America (Chris Evans) aren’t seen fighting alongside each other in the movie, the superheroes make a return on a quest to save the universe. It’s the first time various casts of the MCU are brought together. Most notably, the Guardians of the Galaxy are introduced to fight alongside the Avengers as is the cast of Black Panther and Dr Strange. Following from the tone of the latest Thor and The Guardians of the Galaxy movies, the characters from these movies bring the comic relief. Spider-Man is introduced into a bigger role and officially becomes an Avenger. We also witness a few deaths of notable characters. The movie did well in blending 27 different characters from nine different movies: The Avengers, Iron Man, Thor, Captain America, The Hulk, Guardians of the Galaxy, Doctor Strange, Spider-Man and Black Panther. It does a good job of portraying human elements of loss, loyalty and connection. It is the first time I’ve seen the villain showing elements of humanity and emotion which is something I feel contributes to the viewer’s understanding of his motives. The film makes a powerful statement about earth’s finite resources and while Thanos’s means don’t justify his end, with some thought you can understand his justification. It’s already largely assumed that an Avengers 4 movie will be coming out in a year’s time. As with all these movies, there is a post-credit scene which gives a clue as to what is to come as Captain Marvel, the MCU’s biggest and strongest superhero, is introduced. One possibility of the outcome of this movie is that the MCU will take on a new face into the future but I think the more likely scenario is for Captain Marvel’s upcoming movie, and possibly the next Ant-Man movie, to lead into Avengers 4. I cannot think that Marvel is likely to leave its franchise where Infinity War left off. Without introducing a spoiler, there is too much money to be made from various franchises that have recently been introduced; these movies won’t be dissolved now. To devastated viewers, this will sadly mean another year before we see where Marvel plans to take the MCU.